The WUPJ Conference in Odessa, held in late October, was a long-awaited event for the members of our Community. 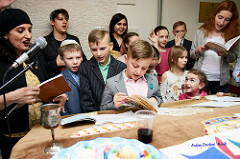 Could the Maskillim Jews, who arrived in Odessa at the beginning of the 19th century, assume that after 200 years, Reform Judaism will not only exist in Odessa, but also gather its supporters for the Conference in this wonderful coastal city. In order for the Conference to take place, a lot of hard work of the organizing committee was done: a wonderful program was prepared: religious, educational, discussion and cultural. It was especially important for me that members of the Shirat Ha-Yam community could take part in religious services of the conference, communicate with representatives of the communities of Ukraine, Belarus, Russia, listen to lectures by teachers and rabbis and feel themselves part of a large reformist community. The theme of the Conference “Strong Diaspora – Strong Israel” was expressed in the unity and cohesion of the staff, volunteers, members of our communities and in the desire to develop our movement in the future. All participants of the conference were able to appreciate the hospitality of our city and members of the community, this is evidenced by warm feedback from participants. And we, in turn, wanted to show them the color and hospitality of our city. I am sure that this successful experience gives hope that such conferences will be held in Odessa again and again! It was very nice to welcome conference participants in Odessa. In my case, it was such a first experience of holding an OUR WUPJ conference in my city home, so I wanted to prepare everything as well as possible and try to make sure that all our guests were good. So that everyone can enjoy the city, communicate with each other and of course, to have a productive time to work. I have a feeling that Odessa picked up the desire of our team and smiled at us in all its charm with a warm and cozy Odessa autumn. As for me, the conference was sincere, as it should, “our way,” and I was very pleased! Thank you all for your help and support, as well as for the warm and pleasant feedback after the conference. I hope in the future I will meet again and again with everyone in Odessa! October 19-21, 2018 The WUPJ Conference “Strong Israel – Strong Diaspora” was held in Odessa. The Conference was attended by delegates from Ukraine, Belarus and the Russian Federation, leaders of the WUPJ: Carole Sterling, Chair; Rabbi Daniel H. Freelander, President, USA & Israel; Eyal Ronder, Vice President for Operations, Israel; Rita Fruman, Director of Programs and Operations in the Former Soviet Union, Israel; Dr. Alex Kagan, the Rector of the Institute for Modern Jewish Studies in Moscow, Israel; Leaders of Jewish organizations in Odessa, as well as guests from Europe. 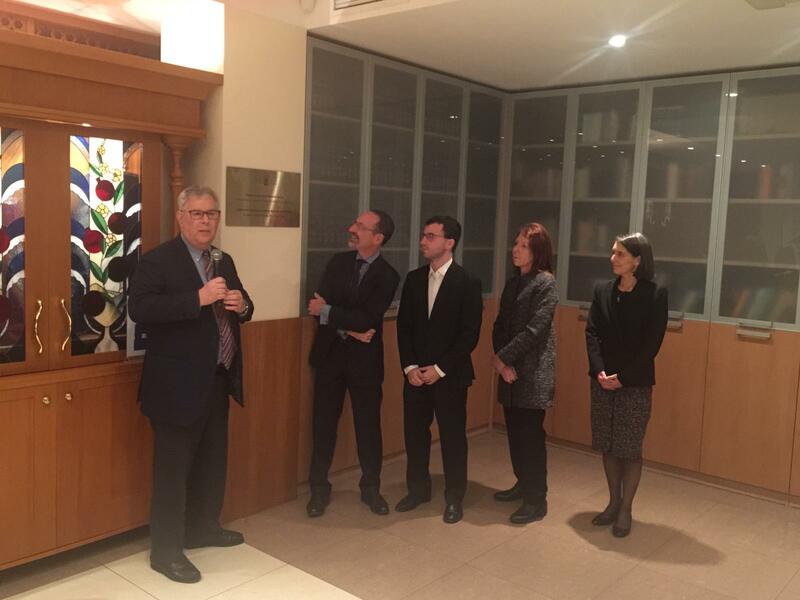 A round table with rabbis and executive directors, a brilliantly held ceremony “Person of the Year”, a lunch of “interest”, friendly communication and presentation of the flagship WUPJ projects – this and much more left a vivid impression on the Conference participants. Three main directions that were selected: Building and connecting Progressive Jewish communities in FSU and worldwide; Securing the Jewish future by investing in youth and young adults; Developing lay, rabbinic and other Jewish professional leadership. The idea that was expressed – to form the Board of Trustees of reformist communities in Russia / Ukraine / Belarus, which can both help young communities to get on their feet, and others to survive crises. Moreover, there was a wonderful Shabbat ceremonies: prayers, lectures, meetings of colleagues and friends, the award ceremony for the volunteers “The Person of the Year”, and this year all employees of the WUPJ in Russia, Ukraine and Belarus were also thanked and given gifts. The conference was a success, and all its participants went home in an excellent mood, charged with new ideas and full of strength to continue their work. Taking this opportunity, I want to thank everyone who participated in the preparation and holding of the conference, it was a real teamwork and this is our common success. And I want to express a special thank you to the WUPJ leadership who came to support us, to express their solidarity and give all participants the special feeling that we are a big global movement with common goals and objectives. Hazak, Hazak ve Nithazek! חזק, חזק ונתחזק! May we continue to go from strength to strength! Click here for an array of photographs to scroll through from the event. Or, for professional photographs by photographer Dorofeev Andrey, click here. 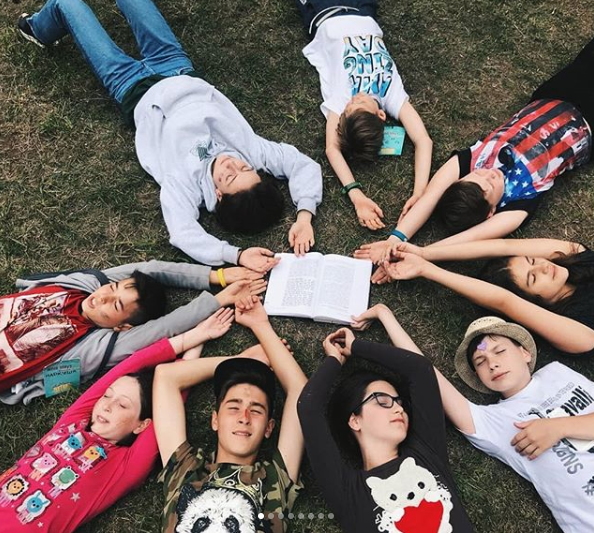 Please fill out this form to share "[UKRAINE] In their Own Words: Reflecting on the Second Biennial of the Religious Union of Progressive Jewish Communities in Russia, Ukraine and Belarus" via e-mail.